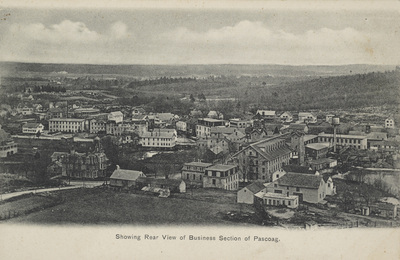 "Showing Rear View of Business Section of Pascoag" by J. P. Davis, Pascoag, R.i.
J. P. Davis, Pascoag, R.i.
J. P. Davis, Pascoag, R.i., "Showing Rear View of Business Section of Pascoag" (1907). Rhode Island Postcards. 315.